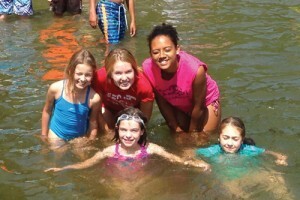 We have a great variety of French Overnight Camps and French Immersion Trips to choose from. 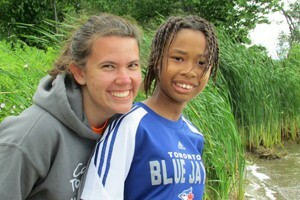 Come experience an overnight French immersion adventure with Camp Tournesol, the leaders in French camps in Ontario! Camp Tournesol offers exciting travel adventures for French-speaking students who want to engage in a truly memorable French Immersion experience. These are sleep away summer camps for campers ages 8-15 . We have an exciting selection of overnight camps to choose from, including an action-packed cottage retreat at the countryside of Schomberg, or the gorgeous Muskoka lake. A day in the life of a Camp Tournesol overnight camper at one of our sleep away summer camps is filled with fun activities like rock wall climbing, campfires, sing-a-longs, archery, and much more – all in French. 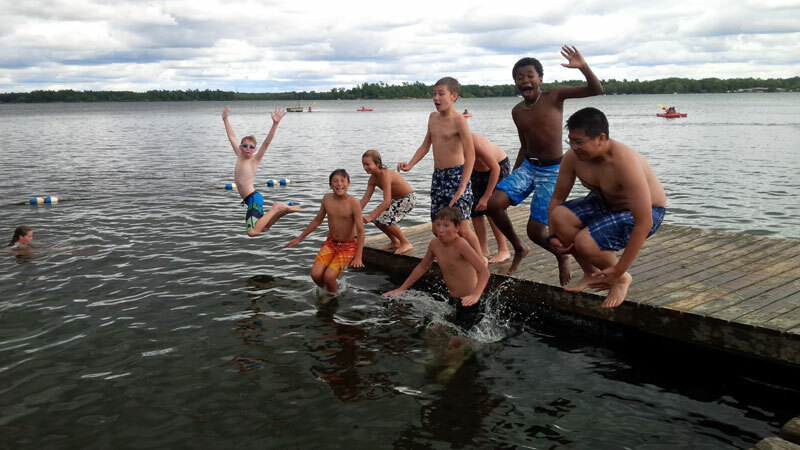 And unlike most overnight camps, Camp Tournesol also offers a partial week overnight option for campers who prefer a gradual transition into the full week away-from-home experience. Take the time to visit the sections below to discover the perfect formula for your child! A full week “away-from-home” French Immersion experience in Ontario, from Sunday afternoon to Friday afternoon. For French immersion or Francophone students. In these programs the week is separated in 2! 1 or 2 days spent at one of our day camps, and the rest of the week at one of our awesome overnight camps. For French immersion or Francophone students. A 4 day/3 night trip away for French-speaking middle school students, specially designed to develop leadership skills and to prepare for the CIT program. Offered in 2 locations and dates to accommodate the growing demand. For French immersion or Francophone students. Take a look at some of our videos and photos from past French overnight trips to see why our campers come back year after year. You can also read the daily recap we maintain to keep our parents in the loop. Come and make some memories of your own that will last forever!